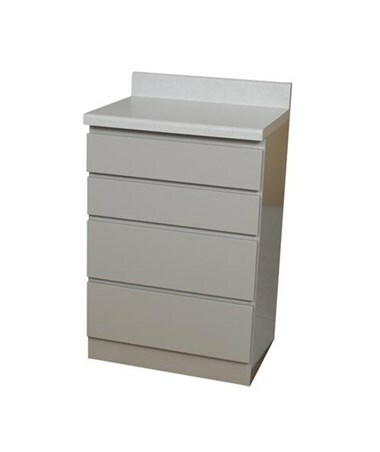 The UMF 6004 24'' Modular Base Cabinet is the perfect solution for any exam room or healthcare facility. Made of all steel and welded for superior strength and rigidity, the modular base cabinet will hold up to the most demanding circumstances. 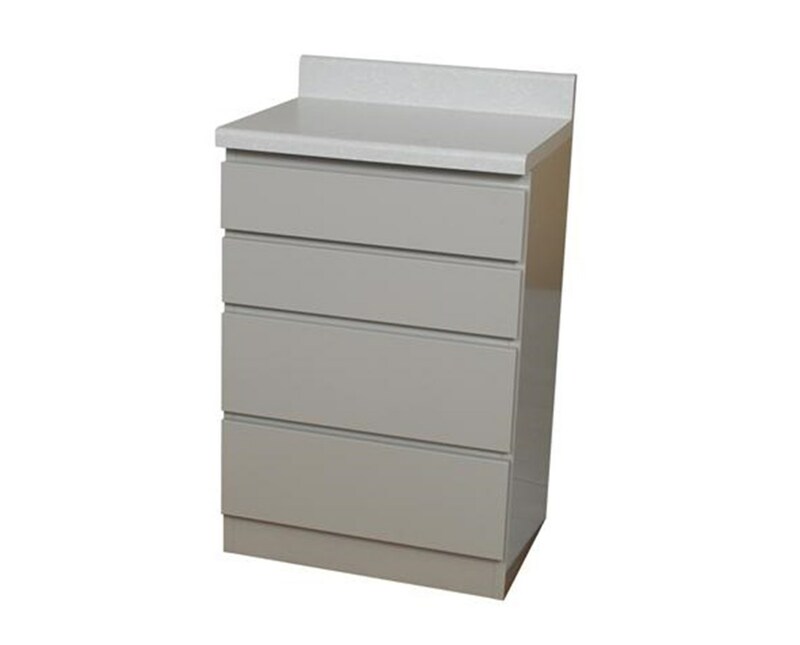 UMF designed, the modular cabinet features commercial grade hinges and full extension roller bearing drawer glides to ensure that the drawers operate smoothly. The benefit of a modular cabinet is it can be reconfigured any time it becomes necessary to change the layout of your room. Furthermore, the drawer fronts of UMF modular cabinets are replaceable, should it ever be decided the need to change colors. The UMF Modular Base Cabinet can be ordered in any of the 8 standard UMF colors. View the available color options and note your choice in the Special Instructions field during checkout. High pressure laminate countertop with 4”(10.2cm) backsplash.